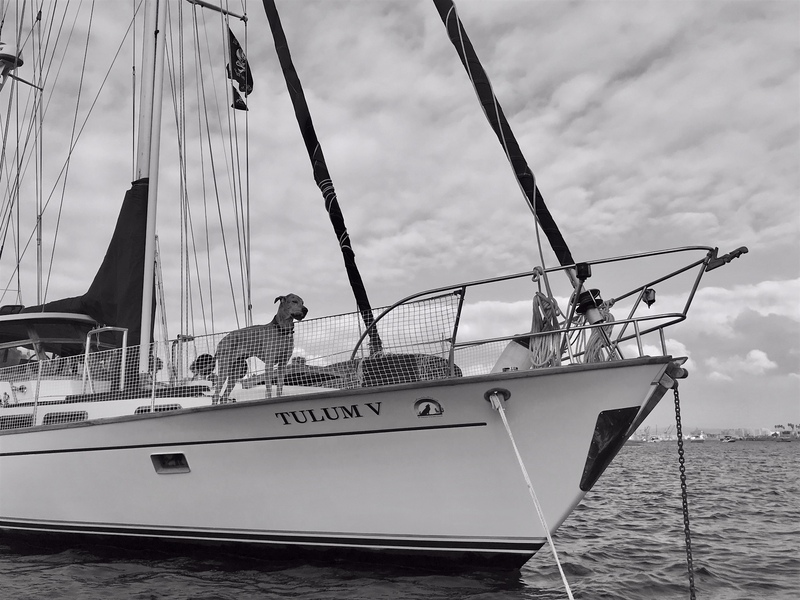 We bought an Aleutian 51 and are now living on her as a whole family, including the Great Dane. We bought Tulum V in February 2018 and moved onto her as a whole family in July 2018. I retired in July as well; so I’ve been working on her consistently since then. She’s in need of LOTS of TLC, overhaul of several systems and just simple regular maintenance. But,,,,I’m in love with her. 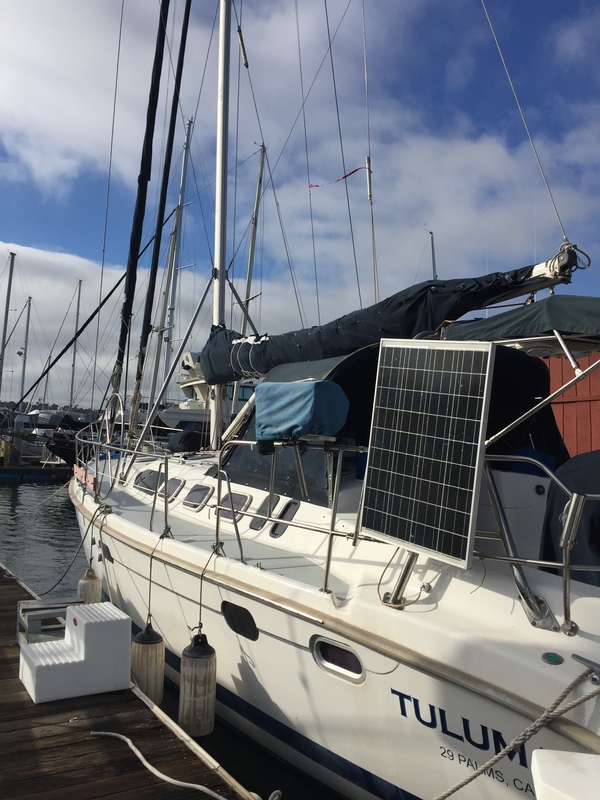 She’s got strong bones, has proven to sail well, has well-thought out blue water features and is built like a tank (in Taiwan). From information collected on this website before, during and after the sale of the boat, we think only 11 of these sailboats were built, but they are still considered production boats. Some were built in Taiwan and several were built in Canada. I’ve been in contact with at least five different current or former owners, who all rave about the boats. There’s a great deal of work to be done on her, keep following for those updates as we go along. 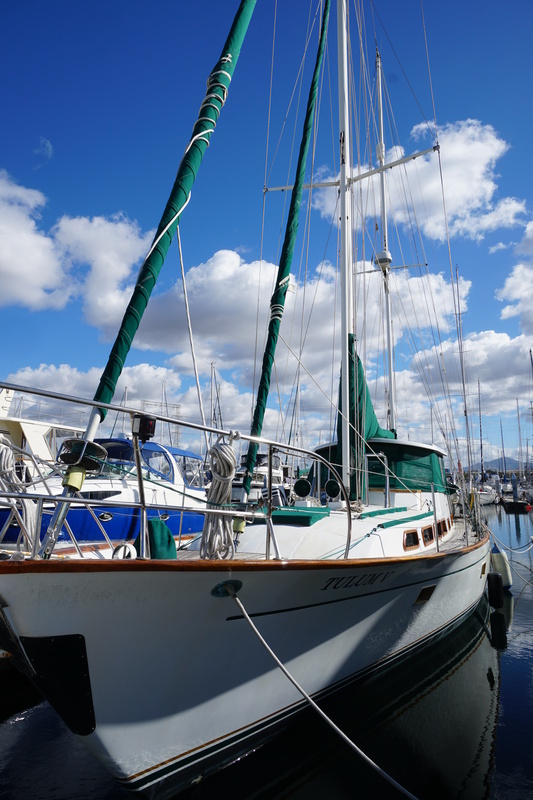 Our first sailboat was a 2000 Hunter 460 and only had two owners prior to our purchase of her. She wasn’t perfect, but she was perfect for us at the time. In November of 2017 we sold Tulum IV to the right buyer. I’m a huge proponent of the fact that a boat will sell when the right buyer comes along, it can’t really be forced. The new buyers told us they were going to prep Tulum IV for the 2018 Baja Ha-Ha and sail away in October of 2018….and they did. I’m proud that they did what they said they were going to do. I started looking at boats on the internet in 2009 but didn’t actually start looking at boats for real until 2011. Once I started looking at actual boats, I toured lots of boats (more than 50) and dragged my wife through tours of at least 25 different boats. 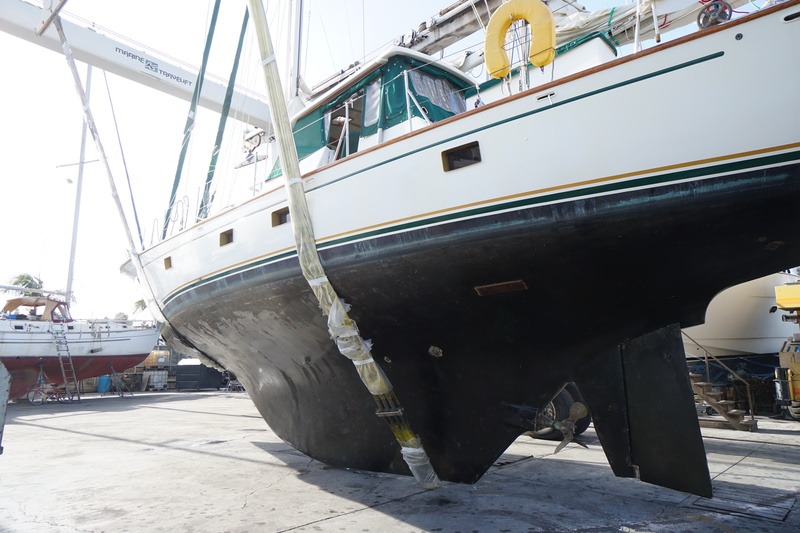 Rightly or wrongly, I was set on a leaky teaky (something older, heavier and built in Taiwan)….but also realized that buying an older, heavier boat might require a lot of money AFTER purchase to bring up to a cruising standard. I did find older boats that had already been brought up to a high standard, but the prices reflected. I also learned the financing and marine survey game. Basically, if the Marine Survey won’t support the accepted offer you make, most banks won’t finance the purchase or will require you to put down the difference in cash. We wanted to buy with a Zero Down Loan (since we had little cash), so we needed to find a boat where the survey would match our offer. 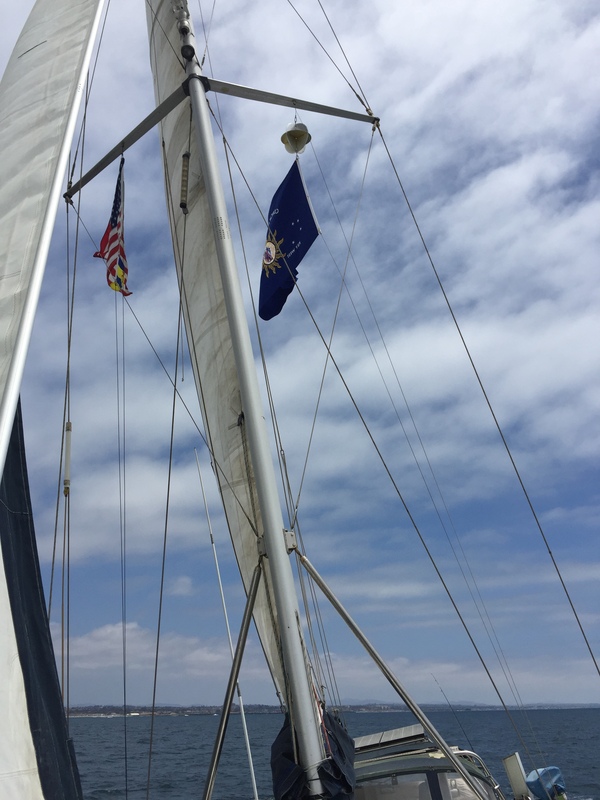 We also learned the game of buying an older boat that might have gear we wanted but needed cash to upgrade or buying a slightly new boat (more expensive up front) that had gear we wanted but needed less cash for upgrades. 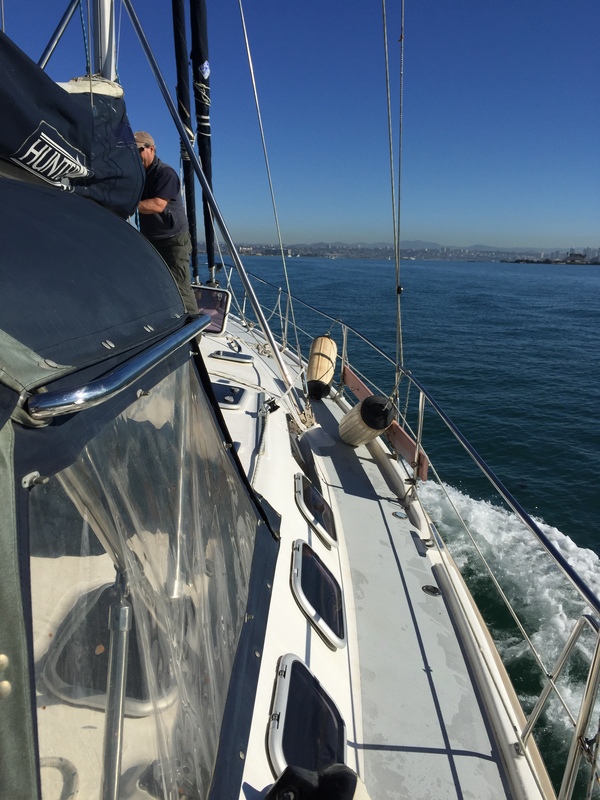 After hauling and surveying two different sailboats, we chose a 2000 Hunter 460. I admit that I felt a bit sorry for my broker throughout the process, because he continued to show me boats (which took up his time) that I didn’t have the financing or “buy-in” to actually buy. And, he probably knew it. This is why he earned my trust and admiration as a broker; he was always willing to listen and tell me the truth (even when I didn’t want to hear it) but year after year he would continue to show me boats or arrange for us to see boats in far-off parts of California. 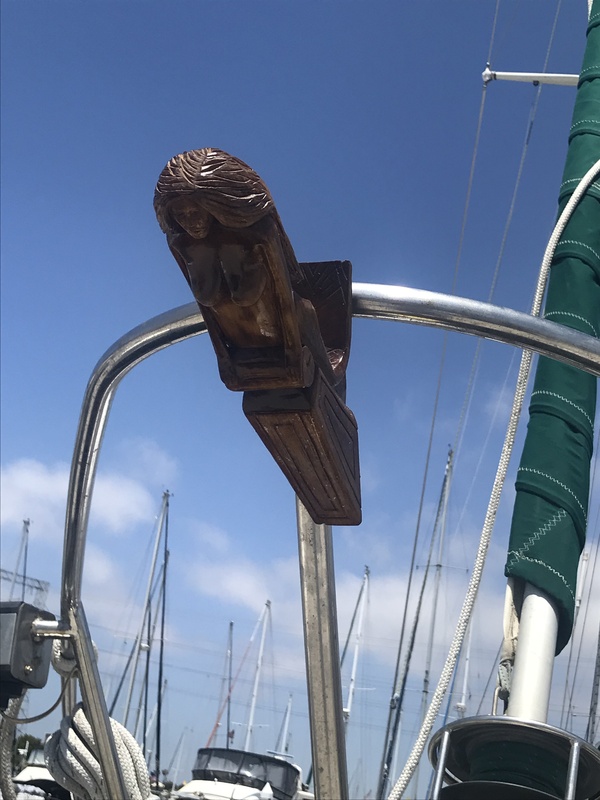 Mr. Clark Hardy with Yachtfinders/Windseakers in San Diego has a vast amount of sailing knowledge and has continued to help me whenever I call or email for information, which is very appreciated. At a mini-boat show event at Yachtfinders in 2013, we actually went aboard the same boat that we would eventually buy, but didn’t realize she was the right boat and it wasn’t the right time to buy anyways. We would eventually realize she was the right boat and would agree as a couple that we wanted to buy a boat AND go cruising. This is important to me…..my wife wasn’t just agreeing to buy a boat, she was agreeing to go adventuring with me and the family! 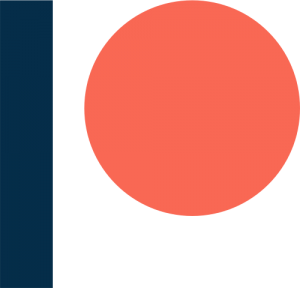 Social Media: LiveFree2SailFast is not on Facebook or Instagram, you gotta follow this blog to see our stuff! But we are on Pinterest and YouTube.